In a decision that will surprise no one, the Reserve Bank board has at its April meeting kept the cash rate unchanged at 1.5 per cent. But a slowing economy means it’s likely the RBA will cut the cash rate this year, with a growing possibility of two 25 basis point cuts. Despite guidance from the RBA governor that a rate cut is now more likely, the RBA did not change the key language around the the future path of interest rates. 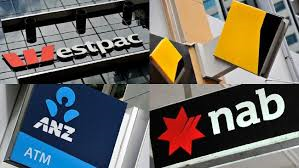 The RBA will be keenly examining the federal budget and the opposition’s budget reply for any economic stimulus, which is likely to be in the form of personal income tax cuts or cash handouts. If the stimulus is significant, it will provide a boost to household spending and economic activity and reduce the likelihood of, or at least delay, an interest rate cut. The shining light for the RBA is the low unemployment rate, which fell to 4.9 per cent in February, its lowest level since 2011. The under-employment rate, which measures the share of people working part-time who would like more hours, has also fallen over the past year from 8.5 per cent to 8.1 per cent. Although job vacancies are increasing, the rate of increase is slowing. Job vacancies (expressed as a share of the workforce) are highest in NSW, Western Australia and Victoria (see graph). Job vacancies growth has slowed in Victoria over the past year, but vacancies are growing strongly in NSW, as well as in Western Australia. Job advertisements have fallen by about 4 per cent since this time in 2018 and internet job vacancies are down 2.5 per cent over the year. Westpac’s unemployment expectations index has jumped in 2019 and the Department of Jobs and Small Business’ Leading Indicator of Employment has also fallen over the past year. In contrast to the strong jobs market, economic growth slowed dramatically in the second half of 2018, and most indicators suggest weak growth will continue into 2019. This divergence between the weak growth and low unemployment is somewhat puzzling, with the RBA trying to reconcile the data. The RBA stated that the “GDP data paint a softer picture of the economy than do the labour market data”. Real Gross Domestic Product grew by 2.3 per cent in 2018, below RBA predictions of 2.75 per cent. Growth slowed in the latter part of 2018: in six-month annualised terms, real GDP growth slowed to 0.9 per cent in the December quarter. Real GDP per capita — a measure of average output per person — fell in the last two quarters of 2018 (see graph). In six-month annualised terms, real GDP per capita growth was -0.7 per cent in the December quarter. The latest growth figures show that Australia’s economy is being driven by strong population growth, with productivity growth remaining weak. GDP per hour worked, a measure of productivity, increased by 0.8 per cent in 2018, well below the decade average of 1.3 per cent. A further slowing in household spending is a key risk to the economic outlook. Household consumption growth slowed to 2 per cent over the year to December 2018 (from close to the 3 per cent growth in the year to June 2018). Falling house prices could result in households further tightening their belts and saving more, but tax cuts and handouts in an election year may provide a boost to spending. A slowing global economy will also weigh on economic growth in the year ahead. A looming risk to Australia’s economy is a housing construction slowdown. House building is currently at a high level, but this is likely to drop off significantly, creating a risk of slower economic growth and higher unemployment in the building industry. Building approvals are 23 per cent lower in the three months to February compared to the same period one year ago The falls in approvals are largest for apartments in NSW, Victoria and Queensland. Building approvals are a leading indicator of construction activity, which points to a substantial residential construction slowdown coming in the next one to two years. Other indicators also point to a construction slowdown. Construction employment has fallen by 2.5 per cent over the past year and construction industry job advertisements in February were 14 per cent lower than this time last year. But construction activity should remain elevated in 2019. The pipeline of residential building work has remained steady, the number of cranes for residential building has remained steady (although fallen in Sydney), and construction sector job vacancies are at their highest point since 2012. Government spending on infrastructure should remain strong over the next few years and offset some of the slowdown in the residential sector. A slowing economy and worrying signs of a weakening jobs market mean the RBA is likely to cut rates in late 2019. The RBA has remained relatively optimistic despite a softening economy, but when the central bank releases its new forecasts in early May it may change its tune to a more pessimistic outlook.